For this the first day of April, otherwise known as April Fool’s Day, write a foolish poem. Feel free to interpret this prompt broadly. For example, perhaps for you a foolish poems suggests writing about a past foolish endeavor, a foolish game or plan, or perhaps it simply suggests utilizing foolish language and silly words. Alternately, maybe it suggests writing about fools, and there are many of those from which to choose. 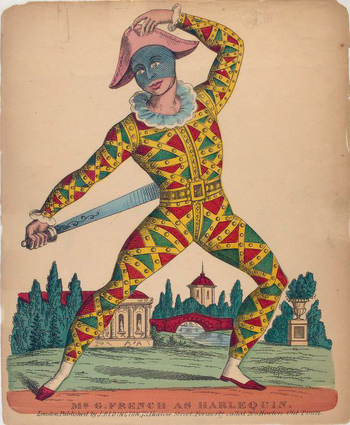 There is the quintessential court jester, the fool in love, the foolish student, any number of fools (or foils) in Shakespeare’s works, even the foolish raven (fox, cat, frog…) of Aesop’s fables. If none of these strike your fancy, consider writing a poem about the origins of April Fools, which is vague enough to encourage fanciful (foolish) interpretation. This entry was posted in Poetry Prompt and tagged Poetry Prompt, Writing Exercise on March 31, 2011 by Lisa M. Hase-Jackson. A month will soon be over. I am getting weak at the knees. My ego is missing your compliments. My conscience is tearing me to pieces.